Some Peek in the Stacks blog posts are authored by CSUN students who work in Special Collections and Archives in the Oviatt Library. This week's post was written by Salvador Ornelas, a student assistant in the International Guitar Research Archives. Sal is a senior majoring in History with a focus on Urban Studies. Immigration has always been an important part of growth and development in the United States. People from all corners of the world have come to the United States for various reasons. With the flooding of people into the United States, especially during the early 20th century, individual stories are sometimes lost or forgotten. 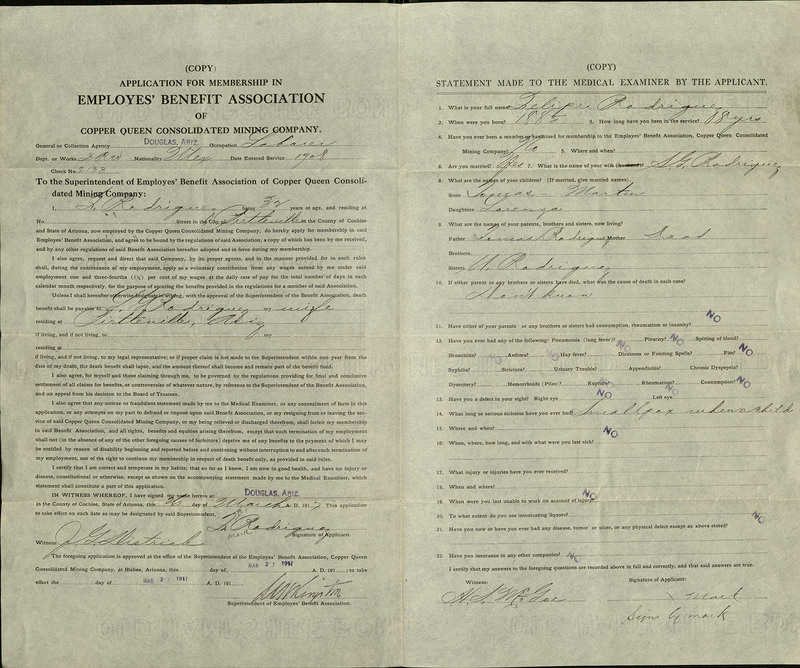 The Felipe and Blandina (Guerrero) Rodriguez Family Collection documents an immigrant family's experiences in the United States. 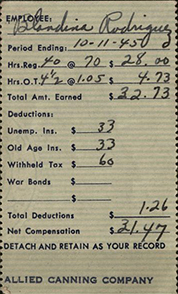 The collection consists of letters, receipts, official certificates, and correspondence. 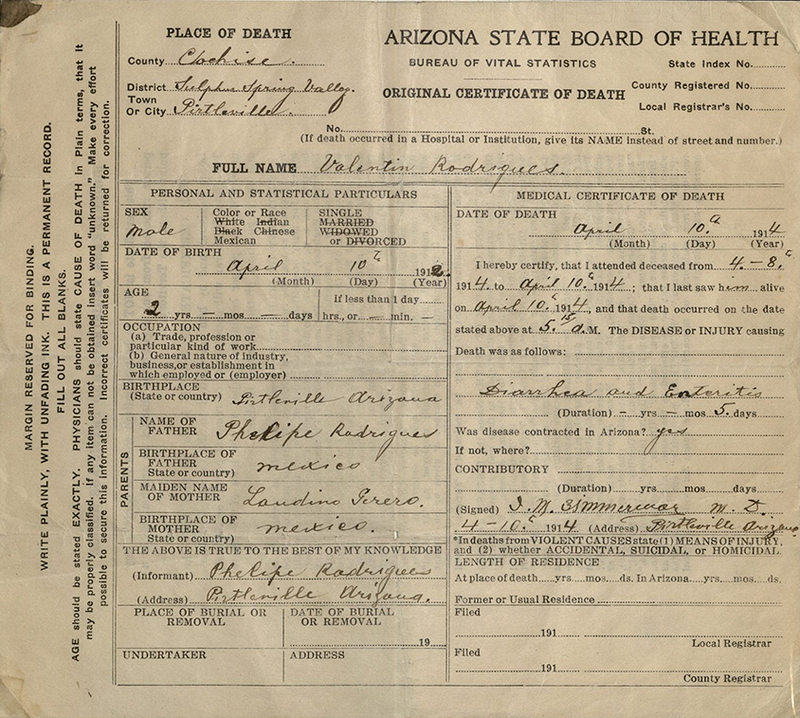 Felipe and Blandina Rodriguez were married in Mexico, and immigrated to Arizona from Durango, Mexico in the early 1900's. While in Arizona, Felipe worked for a mining company and Blandina worked as a picker. They had eleven children, and later moved to the east side of Los Angeles, where many Mexican-Americans lived. 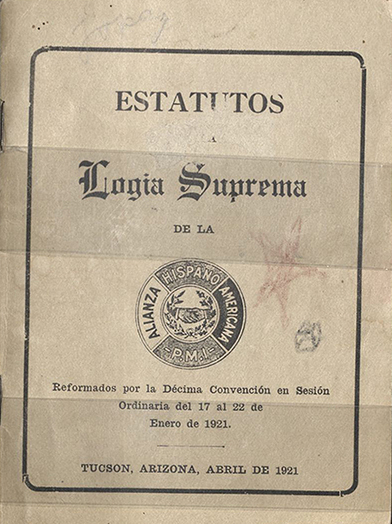 The collection includes death certificates for two of Felipe and Blandina's children, and a letter from the Immigration and Naturalization Service denying Blandina’s attempt to gain her citizenship. There are also receipts for land they purchased for $720. It took them four years to pay it off, with a regular monthly payment ranging from $15 to $20. The collection also sheds some light on the social lives of immigrants. When they moved to Los Angeles, Feipe and Blandina joined a society called "Alianza Hispano-Americana" that helped create a close and supportive community for other Hispanic immigrants. 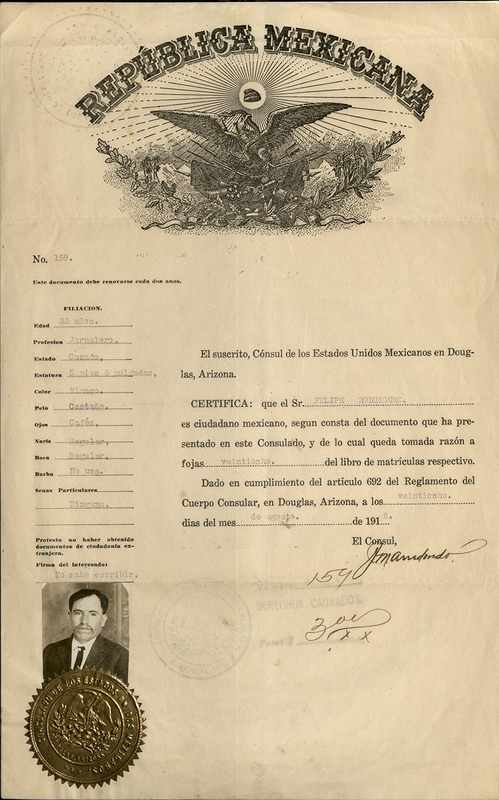 In the collection there are letters between members of the Alianza and the Rodriguez families that include personalized accounts of support networks relied upon during times of need. 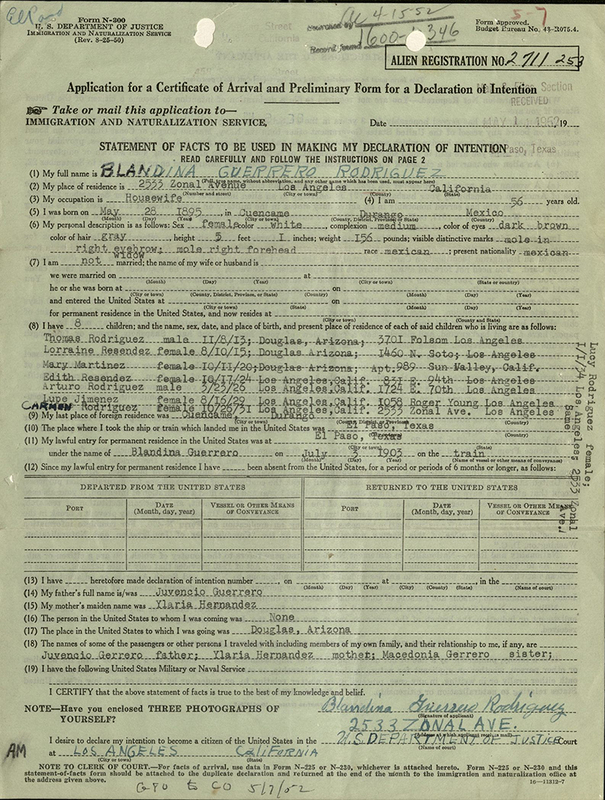 Looking closely at the records of an immigrant family helps contextualize not only the experiences of people as immigrants, but also individual experiences in the grand scope of the world. This collection helps give a face to the faceless.